We have compiled a list of the most frequently asked questions to help you when selling your car. If your question isn’t covered, your local Branch Manager will be happy to help you. You can locate your nearest branch using our branch locator or email at info@cashyourcaruae.com. Tell us your car’s make, year, model, mileage, and condition. Provide your contact information and receive an online valuation and email confirmation instantly. If you are satisfied with your car’s valuation, simply schedule an appointment online to bring your car to us so for a free, on-site inspection. 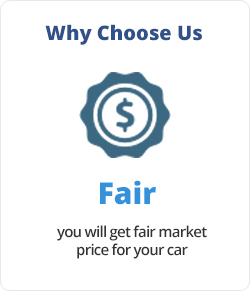 We aren’t like other online car buying websites. We don’t just email you a generic electronic guidebook estimate of used car values; we take into consideration the specific information about your car provided by you. Our valuation is completely free and you are not obliged whatsoever to sell your car. However, keep in mind that online valuations are subject to change once and on-site inspection has been conducted. 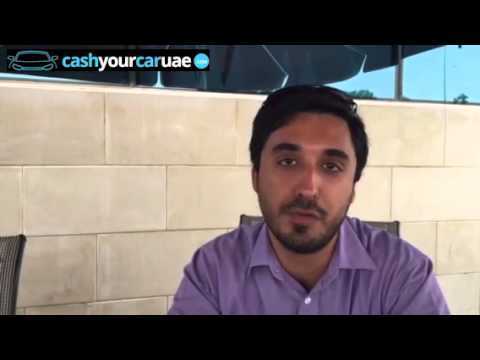 Valuations are provided as an estimate only and are not an official offer from cashyourcaruae.com. They are based on the limited information you provide online and general market information about your car – which in some cases may be limited. The valuation may be subject to change prior to or during your vehicle’s inspection. One of our expert representatives will meet you at your scheduled appointment and carry out a car inspection right away. You will need to bring all the necessary documents for your car (registration card, keys, any outstanding loan balance, service history if applicable) along with a personal form of ID. If you’re pleased with the offer made by our on-site representative and wish to sell your car, we will pay you in cash or your preferred method right away. The entire process will only take 30 minutes. If you have an outstanding loan balance, don’t worry about it! We deduct the owed amount from the price we have offered you and you keep the remainder. All you have to do is bring the current payoff letter from your bank that shows the outstanding balance on your loan. 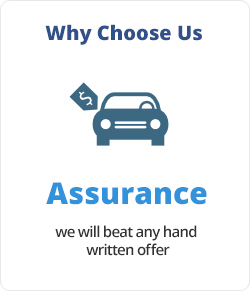 Buying used cars is our specialty! 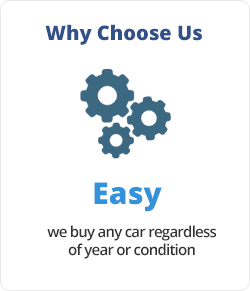 Our business aims to help you sell your car in a fast, fair, and easy way. We have been in the motor vehicle business for more than 30 years because we provide our customers with excellent service while offering them a great value for their used car. Paying to advertise to sell your car. Strangers visiting your home for a showing and test-drive. Having your car on the market for months while it drops in value. Continuing to pay for maintenance and insurance costs while you wait for your car to be sold. 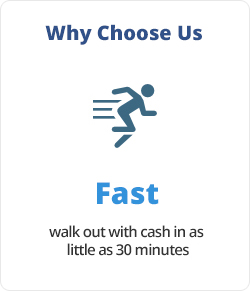 With our stress-free service, you can sell your car in 30 minutes and leave with cash in hand. My car doesn’t run, will you still buy it? I have an outstanding finance on my car. What do I need to do? Our database contains information for GCC specs cars and imported cars manufactured for the GCC since 2000. Note: If you are unable to find an exact match for your car’s make and model on our site, we advise that you DO NOT choose the nearest model to it. Instead you should contact us via email or phone to get the most accurate valuation possible. Otherwise, there is no guarantee that the value generated by our valuation system will match your particular car make & model when you bring it on for an onsite inspection and appraisal. We buy cars whether they are running or not! However, you are responsible for making arrangements to transport the car to us for an onsite appraisal. One of our representatives will provide you with information on local recovery truck companies if you need guidance. If you want to discuss the specific circumstances of your vehicle, please feel free to reach out to one of our representatives at 0504475976. Yes. We require that you obtain a letter of authorization (i.e. Power of Attorney) from the registered owner of the vehicle. The payment and transaction details need to match the owner’s name on the vehicle’s title. A signed letter from an authorized company representative that allows you to sell the vehicle. Both sets of cars keys if available. Any vehicle-related documents and manuals. The vehicle’s registration card and title/current payoff letter (if applicable). I have an outstanding loan balance on my car. What should I do? We can pay for any outstanding balance on your car loan up to the price we purchase your car for. Just give us a current document from your bank that shows your outstanding loan amount. We will pay off the loan for you and deduct the amount from the price we offer to purchase your car for. We will not pay off a loan that exceeds the amount we offer to buy your car for. Note that the payment from us will take 3 to 4 days to be received by your finance company. It may take your bank anywhere from 5 business days before crediting the funds to your account. Can I show up at one of your branches? When are you open for appointments? After receiving an online valuation, you will be able to schedule an appointment online immediately. Once you have scheduled an appointment, an email confirmation will be sent. A representative will give you a courtesy call to answer any questions you might have and remind you to bring the necessary documents needed to inspect and sell your car. Yes. Please contact our call center to reschedule your appointment. Yes. However, if you haven’t made an appointment online you will need to call our call center to ensure that there is availability. Sorry, at the time we do not offer car pick-up services. An official form of identification, such as a passport or valid driver’s license. Your ID must match the name and address on the vehicle registration card. All vehicle-related documents and manuals. The vehicle registration card (mulkiya). If your vehicle has any outstanding financing, we need a current payoff letter from the bank that provides the loan settlement amount. The process should take 30 minutes. You will accompany one of our trained representatives during the onsite inspection of the vehicle and then be invited to join the representative for a quick test drive. Upon completing the test drive, the branch manager will provide you with an offer. If you are satisfied with the amount of money offered, you will fill out some simple paperwork so we can pay you with cash on the spot or your preferred method. Please note that required documents and you vehicle registration must be present in order for us to test-drive your car. Without test-driving your car we might still want to buy it. However, this may reduce the amount of cash we will offer for your car. If I owe money on my car loan, will you still buy my car? You can receive cash on the spot or any other method of payment you prefer. 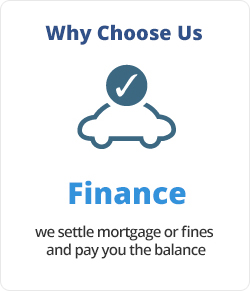 We can pay for any outstanding balance on your car loan up to but not exceeding the price we offer to buy your vehicle for. Just provide us with a current document from your bank that shows us your outstanding loan amount. We will pay your loan off for you and deduct this amount from the money we pay your for selling your car. Note that your finance company will receive the payment from us within 3 to 4 days. It may take your bank anywhere from 5 business days before crediting the funds to your account. If you owe more on your car loan than the value of the car, we will still be glad to buy it. However, you will pay us the remainder of your outstanding loan balance when we purchase your car. No, we can only pay the legal owner of the vehicle. If you are selling the car on behalf of the owner, we can still only make a payment to the legal owner’s designated bank account. Why are valuations subject to an onsite inspection? Is my online valuation I received a few months ago still valid? Tell us your car’s mileage, year, make, model and condition. Give us your contact details to receive an instant online valuation and email confirmation. If you are satisfied with your car’s valuation, simply schedule an appointment online to meet one of our representatives for an onsite inspection. Our valuation is free and there is absolutely no obligation to sell your car. Keep in mind that online valuations are still subject to an onsite inspection for verification. Our online valuations are compromised of information you provide in addition to used car market factors that change everyday. The more accurate information you provide about the features and condition of your car, the more likely we are to provide a precise value for your car. However, a final offer won’t be made until an onsite inspection is made by one of our experts. 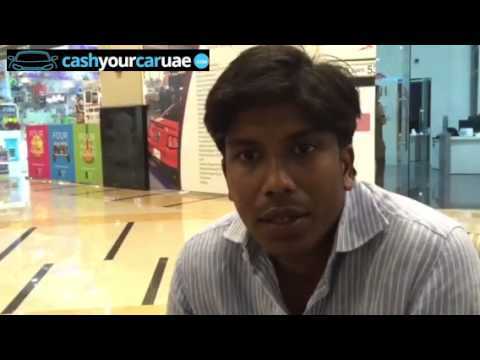 Car valuations issued by the cashyourcaruae.com site must be inspected by one of our trained representatives. An inspection allows us to gather further information about your car to provide a more accurate and fair offer based on the information you provided online and our knowledge of the used car market. The details and condition of your vehicle must be confirmed though an onsite inspection by one of our representatives before we can buy your car. Your online valuation and onsite inspection are completely free, regardless of whether you choose to sell your car. You are not obliged to sell your car to us. Used car valuations are subject to change on a daily basis; these changes may be minor or drastic. In order to receive an accurate valuation, we encourage you to fill out a new valuation on our site to receive the most up-to-date value information about your used car. All valuations issued on our site are subject to an onsite inspection of the car and do not represent an official offer or a firm contract to buy. The details and condition of your vehicle must be verified by one of our representatives in order to confirm the online valuation you received from us. How can I valuate my car if it is not listed on your site? If you are unable to find an exact match for your car’s make and model on our site DO NOT choose the nearest model to it listed. Instead, contact us via email or phone and we will provide you with an accurate valuation. It is not guaranteed that the value generated by our online valuation applies to your particular car make & model.